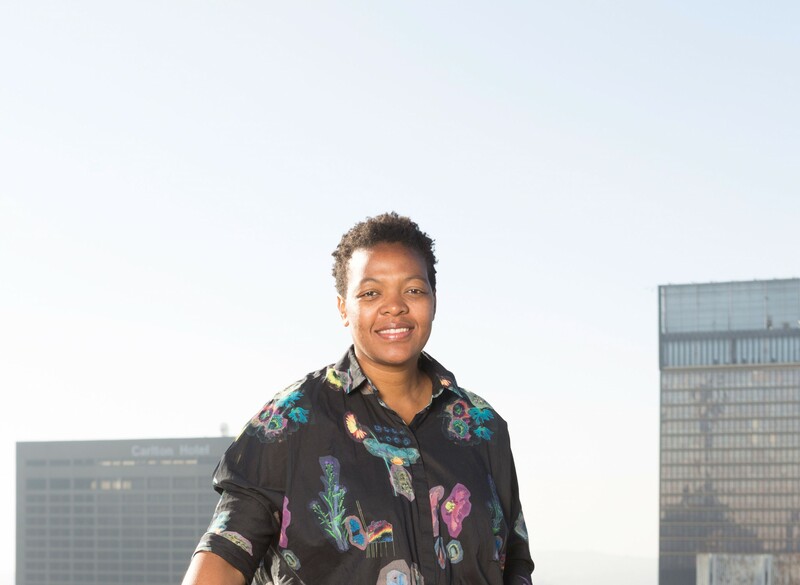 The Berlin Biennale for Contemporary Art, which has been funded since its fourth edition by the Kulturstiftung des Bundes (German Federal Cultural Foundation) as an “outstanding cultural event,” is delighted to announce Gabi Ngcobo as the curator of the upcoming 10th Berlin Biennale. Recently Ngcobo co-curated the 32nd Bienal de São Paulo, which took place in 2016 at the Ciccillo Matarazzo Pavilion in São Paulo, BR, and A Labour of Love, 2015, at Weltkulturen Museum, Frankfurt am Main, DE. She has worked at the Iziko South African National Gallery in Cape Town, ZA, and at the Cape Africa Platform where she co-curated the Cape07 Biennale, 2007, Cape Town, ZA. In the past she has collaborated with various institutions including Centro Atlantico de Arte Moderno (CAAM), Las Palmas de Gran Canaria, ES; Durban Art Gallery, ZA; Joburg Art Fair, Johannesburg, ZA; Johannesburg Workshop in Theory and Criticism (JWTC), Johannesburg, ZA; LUMA/Westbau, Pool, Zurich, CH; New Museum, Museum as Hub, New York, US; and Raw Material Company, Dakar, SN, amongst others. She has been teaching at the Wits School of Arts, University of Witswatersrand, ZA, since 2011. Her writings have been published in various catalogues, books, and journals. She currently lives and works in Johannesburg, ZA, and São Paulo, BR, and will move to Berlin for the preparations of the 10th Berlin Biennale. Gabi Ngcobo already shares connections with the Berlin Biennale: In 2008 she participated in the second edition of the Young Curators Workshop Eyes Wide Open on occasion of the 5th Berlin Biennale, and in 2014 the Center for Historical Reenactments presented its project Digging Our Own Graves 101 as part of the 8th Berlin Biennale. With the selection of Gabi Ngcobo, the Berlin Biennale continues its mission of serving as an experimental platform for exploring and expanding the format of the exhibition and a curatorial agenda as well as for examining current global discourses and developments in relation to Berlin as a local point of reference. The selection committee for the curatorship of the 10th Berlin Biennale consisted of Krist Gruijthuijsen, KW Institute for Contemporary Art, Berlin, DE; Vasif Kortun, SALT, Istanbul/Ankara, TR; Victoria Noorthoorn, Museo de Arte Moderno de Buenos Aires, AR; Willem de Rooij, Frankfurt/Berlin, DE; Polly Staple, Chisenhale Gallery, London, GB; and Philip Tinari, Ullens Center for Contemporary Art, Beijing, CN. In order to respond appropriately to its continuous growth and professionalization, the Berlin Biennale has been restructured in parallel with its 20-year anniversary. Up until this point Gabriele Horn was both the director of the Berlin Biennale and KW Institute for Contemporary Art. As of July this year the two institutions are now operating as separate business units under the umbrella of the KUNST-WERKE BERLIN e. V. This enables Gabriele Horn—now director solely of the Berlin Biennale—and her team to further strengthen the institution and make it sustainable and ready for the future while focusing on preparations for the upcoming edition and its accompanying events.